Dr. Vicari has been a Pediatric Plastic Surgeon / Craniofacial Surgeon in the Chicago land area for more than 25 years. 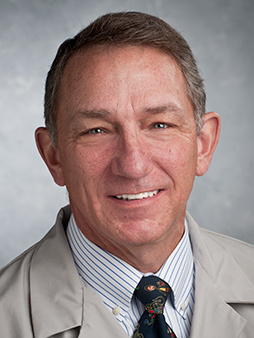 He has a broad experience in Pediatric Plastic Surgery and has been a pioneer in the areas of Endoscopic (Minimally Invasive) Craniofacial Surgery, Mandibular Distraction techniques for airway management, and the management of giant birthmarks. His goal is to provide the best care possible to patients while keeping parents and referring physicians informed and engaged every step of the way. Dr. Vicari is the best! We feel so lucky to have his expertise. I would highly recommend Dr. Vicari. He is professional and personable. Quick and to the point, explained things clearly and demonstrated what he meant. I can't speak highly enough of Dr. Vicari - he was WONDERFUL!! Dr. Vicari is an outstanding provider. We have been seeing him for my daughter's _____ cleft care since 3 mo. in 2002. We travel from Texas so _____ done should say it all. You are lucky to have him on _____ Advocate team! Dr. Vicari is amazing! We really appreciate for what he did for my son. Will definitely recommend him to other families. Dr. Vicari is a great provider - however we had to wait 2 hrs. to see him. That was very difficult having an 11 month old wait that long. Dr. Vicari went out of his way to make room for us in his day. We greatly appreciate his expertise & flexibility. Dr. Vicari was friendly and worked well with my 15 month old. He seemed very experienced and knowledgeable. He was very observant and was able to assess my daughter rather quickly. He explained things clearly and went into further explanation when I had questions. The provider showed little interest in examining my baby. He stood about 4 ft. away the entire consultation, with him stepping closer for 5 seconds while he glanced at his head shape. The wait was long with no updates on why we were waiting. Actual time with the PA/MD was short. I was frustrated by the wait time when the patient is an infant, & then seen for maybe 5 min. by the dr.
Dr. Vicari was absolutely amazing! He spent a lot of time with us, answered our questions and gave us extremely helpful suggestions. This dr. is wonderful. he put us so at ease, and I could not thank him though. The office waiting room was so crowded. There was nowhere to sit. I had to wait 45 min to see the dr.
overall, pleased w visit. Would have been nice if I had known upfront that surgery not recommended until after 6 months. Dr. Vicari is the best! We feel so lucky to have been under his care. Great provider, fixed my son's head quickly. The team was excellent. Frank Vacari answered all of our questions and provided us with so much information. I would love for Dr. Vicari to have a Naperville location. He was a phenomenal doctor and attentive to my concerns. He was patient, personable, helpful and empathizes with the health matter and put us at ease. Outstanding is the only way to describe Dr. Vicari. We have been seeing him since my daughter's birth. We travel from Texas for his continued care. LG is lucky to have him on staff. Dr Vicari is an amazing doctor. He is so patient and understanding. Very knowledgeable and polite. He answers all questions with respect. I'm extremely grateful that I was referred to his office. He was able to explain everything in a very clear manner, make me stop worrying and did not try to force unnecessary treatment on my child (as other people did). Dr Vicari is an excellent doctor and I would recommend him to anybody I know! I sought out Dr. Vicarii specifically for the treatment of my child. He is knowledgeable, personable, and extremely helpful in answering our questions. We trust his judgement and are very pleased with the care he is providing our son. His staff have been very pleasant as well. Were nice and I liked the fact that I would like the dr. to operate her as soon as possible. Dr. Vican is excellent, and I would highly recommend his services. I cannot say enough good things about Dr. Vacari & his staff. They are amazing and really care about each patient. He is an awesome doctor!! I felt very rushed through this appointment. It felt like the doctor was distracted and "too busy" for us and we were "processed" quickly. health eNews with Frank A. Vicari, M.D.